As usual the autumn/winter catwalks this year were teeming with creative make-up looks. Time to banish those bronzers, sheens and fake tans to the back of the drawer because next season is all about velvety pale skin. Designers such as Stella McCartney, Chloe and even Victoria Beckham had their models sporting a good layer of foundation beneath a liberal coat of pale powder to achieve that flawless, porcelain look. You can achieve this look with Clinique Superpowder (£23), which can be used both as a base and as a finishing powder to go over foundation. Try the vampish Matte Ivory shade for a truly pale look, or Matte Neutral for something slightly darker. We’re not ready to put the summer ‘60s trend to bed just yet. Luckily, neither are the top fashion houses. Dior showcased a futuristic look with pale lips and swoops of eyeliner in silver, Anna Sui bought monochrome back with dots of black eyeliner on the lower lash line and models at Rag & Bone channeled Twiggy with black lines in the crease of their eye sockets. 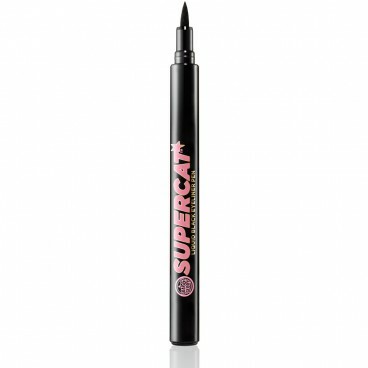 We love Soap & Glory™ Supercat™ Eyeliner Pen in Carbon Black (£6) because it has two ends: one fine tip (perfect for the Twiggy look) and one thick tip (great for dots and thick sweeps). While AW12 was all about big, open eyes created with white eyeliner, this year we’re being encouraged to play around with darker, richer metallics. Gucci and Jason Wu chose stunning red and purple metallic eye shadow while Roberto Cavalli went for military gunmetal and Marc Jacobs went full on goth with metallic black. The take-away for us? Dark, heavy, dramatic eyes are an absolute must for nights out in autumn and winter this year. To achieve this look you don’t need to spend a fortune at the big-brand counters. Head instead to Collection 2000 and check out their selection of Metallic Cream Eyeshadows (£2.99) in six on-trend shades.